Onward to North Africa…in a Bowl! It was a rather kooky wrap up to the workweek this week. But not at all surprising given it’s my company’s end of fiscal year at the end of June. Combine that with the 4th of July falling smack in the middle of next week, most everyone plans to get the hell out of town the entire week, plus a weekend on either side. So lots of scrambling. Today was spent doing a lot of maintenance in preparation for the upcoming “holiday” week. I’ll have more on that tomorrow. I dug deep in my pantry before setting out to run errands looking for yet another new soup recipe, in an older cookbook I haven’t opened in a while. Yes, I use part of my pantry for cookbook storage. Someday I will have my dream kitchen with a built-in bookshelf of sorts to hold my cherished cookbooks. For now they are both in the upper shelves of my pantry and in a portion of a kitchen countertop. I knew I wanted to whip up a hot and spicy batch of soup today. We’re still in that icky, rainy, cloudy, chilly-but-sometimes-humid lame-o Seattle weather which is so typical for late June. Psst: are you planning to visit Seattle? We are most welcome to have you at any time…but you’ll be far happier doing it in late July than right now – for real! 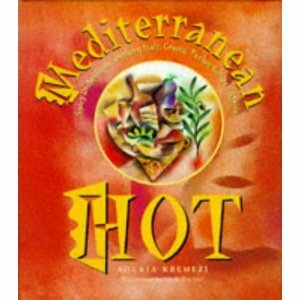 So I blew the dust off another cookbook I hadn’t thumbed through in a while: Mediterranean Hot. It’s by Aglaia Kremezi. Wow, this book was published in 1996! It’s so clear how somewhat dated a book like this is – for example, in the mail-order resources section there are no websites posted – just the names of merchants and their phone numbers. How the times change! The recipes, however, are timeless. They go far, far back in time – some even for centuries, even. The author provides a wonderful introduction to this book describing the peoples of the Mediterranean region, the seasonings and spices and how pretty much WARS WERE FOUGHT over spices. Fascinating! I chose a North African style of soup for tonight’s experiment, and noted how far less chopping and prep time would be needed compared to the other soups I’ve prepared these past few weeks. There were a few things I took liberty with right off the bat, for both planned and unplanned reasons. Read on for more. Mix the olive oil with the garlic, coriander, caraway, harissa and Aleppo pepper (or pepper flakes) in a saucepan. Place over medium heat and stir to warm, without letting anything burn. Add the tomato paste and 4-5 cups of water. Bring to a boil and add the semolina and bulgur, stirring constantly. Simmer for 10 minutes and then add the lemon juice, capers and preserved lemon. Taste and season with salt if desired or some more preserved lemon. Serve very warm, sprinkled with cilantro or parsley. I did not have any Aleppo pepper or Harissa on hand. I since have ordered some thanks to the nice people at Dean & Deluca. Red pepper flakes are an easy sub for Aleppo pepper, but the Harissa recipe (hot Tunisian chile paste) seemed a bit more involved. I searched online and learned that an ordinary chile paste was a good substitute. Although I discovered the lone paste I had on hand was a Thai red curry paste. Oops. I was a little worried about that when I got home…and I discovered this while the soup was under way and I was a bit into a large glass of Pinot Gris (heh), so I knew heading back out to grab chile paste at a grocery store was not a good idea. It turned out great with no major flavor conflicts! Semolina flour: this is the base for your handmade or machine-made pastas. Lessons learned – I would add this very gradually while whisking it constantly into the soup instead of dumping it all in at once and then the bulgur on top and then attempting to mix. The Semolina became very lumpy immediately (hmm, just like when making gravy?) and it was super hard to whisk and separate into the broth after the fact. This is a vegetarian soup. I opted to not make it 100% vegetarian by substituting one of the 5 cups of water with a cup of chicken stock. With a very sharp knife, cut the lemons into quarters lengthwise without detaching the pieces completely at the stem end. Sprinkle salt and a little paprika inside each lemon and place in a 1-quart jar. Press down on the lemons to fit as many in the jar as possible. Refrigerate 2-3 days. The lemons will give off a lot of juice. Press the lemons in the jar to extract as much juice as possible. Sprinkle with the turmeric and add more lemon juice to cover the lemons. Top with 1 inch of olive oil, close the jar, and keep in the refrigerator for 4 weeks until using. To use, remove the lemons you need, wash under running water, drizzle with olive oil and serve or use as you wish. After yesterday’s amazing discovery of a Chilean fish soup I woke up today excited. And motivated. Grinning. 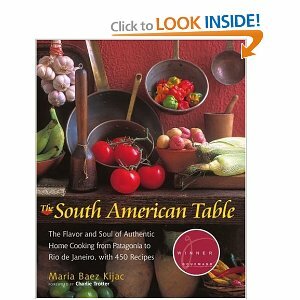 Sure it was (is) a sleepy, relaxed Memorial Day, but I felt compelled to do more soup cooking…and to uncover more treasures in this marvelous cookbook – The South American Table! I thought it would be fun to try a vegetarian soup from this cookbook. While I’m not a vegetarian, I don’t eat meat every day – I just don’t think it’s necessary to do so. I love trying different alternatives, although I tend to lapse into a pasta-and-pesto dinner habit when I’m not eating meat or too lazy to cook some. 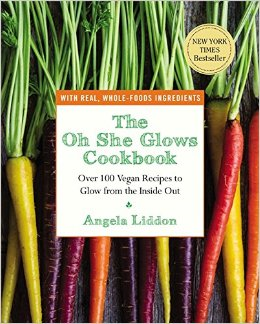 I raved about this cookbook in my last post; there are 450 recipes – 26 of which are soups…and 9 of those are meatless (sopas sin carne)! Wow! 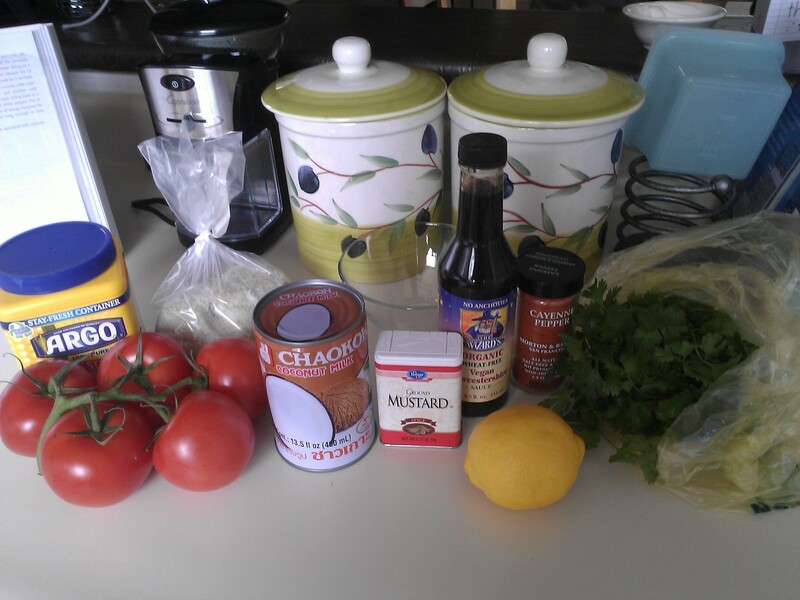 I definitely have the gazpacho on my list for when the weather gets warmer. Today this one stole my heart (and my taste buds) and was educational as well. And, in my typical fashion, another driver to try out a new recipe is to use up something in my pantry or fridge that needs using up! In this case it was eggs, milk and quinoa. In a heavy 4-quart saucepan, melt the butter over low heat. Add the onion and cook, stirring occasionally, for 10 minutes, without letting it color. Stir in the garlic paste, cumin, paprika and red pepper flakes (if using) and cook for 1 minute. Add the water (or stock), quinoa and potatoes and simmer, partially covered, until the potatoes are tender, about 15 minutes. Add the milk, corn and peas and simmer 5 minutes. Add the cheese and eggs and cook, stirring constantly, until the cheese is melted and the eggs have set. Serve hot, garnished with the mint and cilantro leaves and avocado, if using. One of the challenges with this soup was timing. I noticed that the recipe called for adding stock (or water) already boiling to the ingredients as they cooked, rather than adding it cold and bringing it to a boil. In the interest of being efficient with time (and the number of pots to wash after cooking) I opted to cook the quinoa first, start the soup cooking in a separate pot and then wash the quinoa pan and boil the stock in it and let the quinoa drain in a colander in the sink. Voila, only two pots to wash. The flavors of this chowder were a lot milder than I expected. Maybe it’s just my preference for spicier soups. 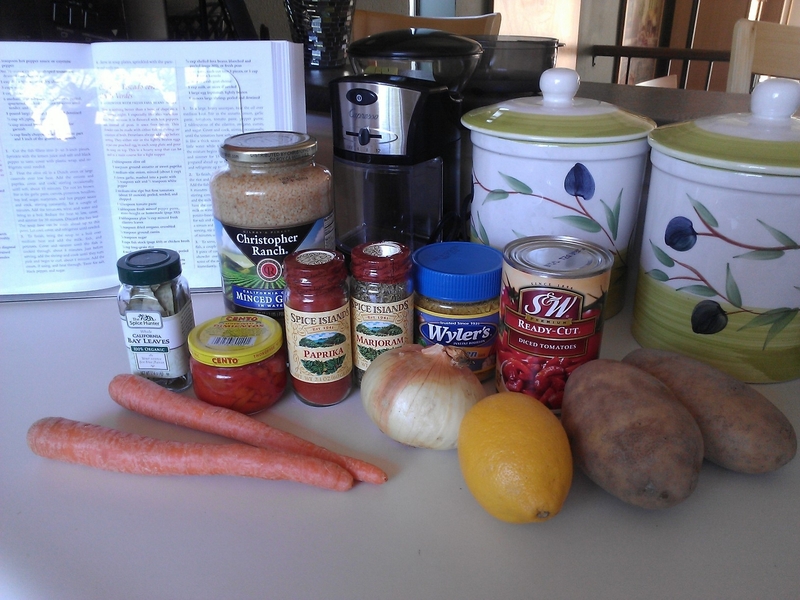 Then I realized I’d made about 50% more quinoa than the recipe called for – too funny! I’d cooked 1 C dried quinoa, thinking it would make about 2 cups total and neglected to use a measuring cup – yikes. Turns out 1 C dried quinoa is a little over 3 cups when it’s cooked. Not to worry, as I’ll definitely add more spices to each serving as I savor the leftovers…it’s a lot easier to add more than try to “water down” a too-spicy meal.